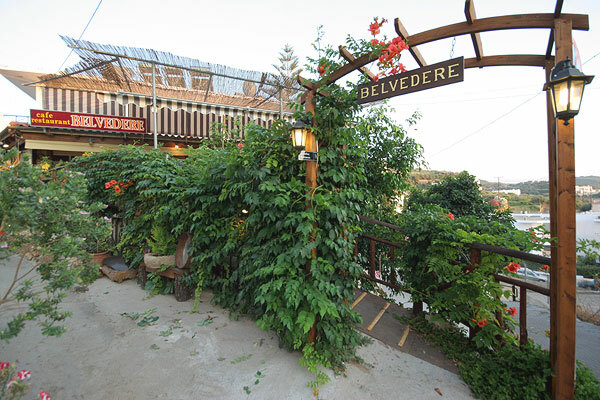 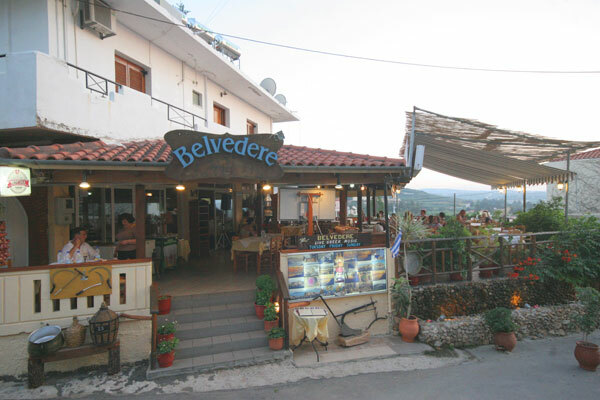 In the center of Platania, in one of the most wonderful places of Chania, not far from the main street, on the way up to the ancient village of Platania, you can descern BELVEDERE RESTAURANT - TAVERN a nice family restaurant, Manolis and Helen’s restaurant. 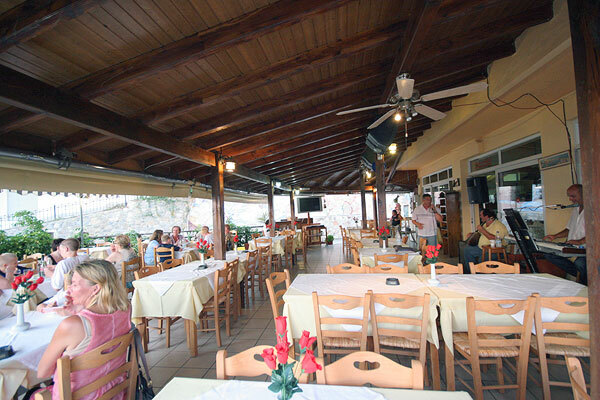 A magnificent and comfortable place with a view of the sea offers you the choice to enjoy an extremely enriched breakfast with coffee or fresh fruit juices , ice-cream and everything else your heart and your appetite desires! 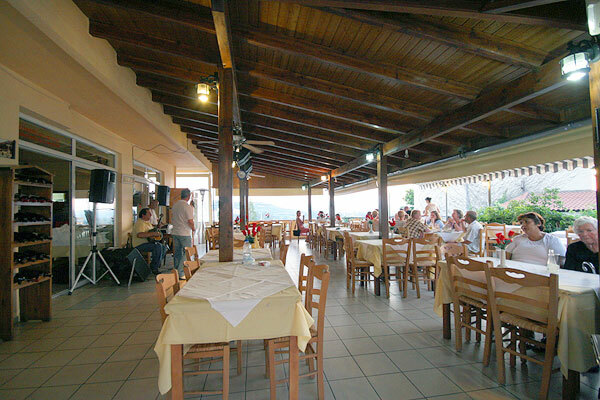 In the early afternoon you can taste a number of delicious dishes, which are part of the traditional Greek cuisine. 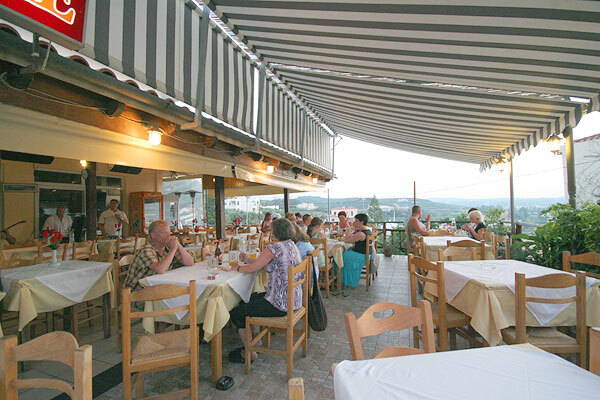 Cooked food in the saucepan, made of the purest incredients, such as olive oil are recommended. 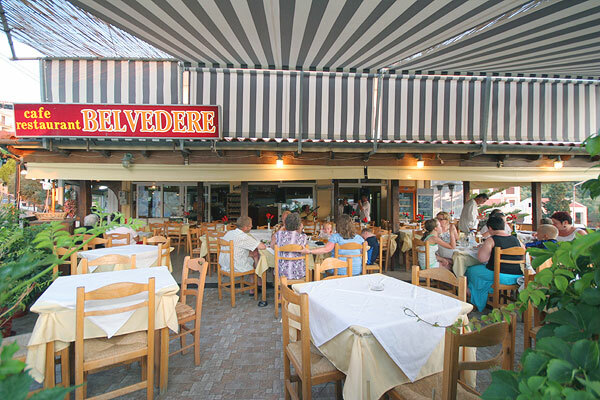 Taste our special grilled steak , lampchops, meatballs , chicken, traditional Greek kontosouvli and so on. 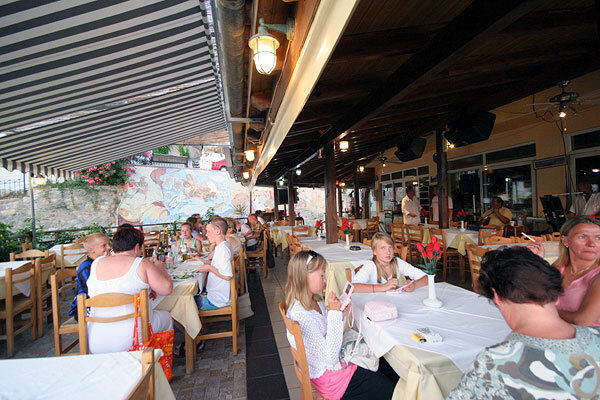 A special and light child’s menu is provided that will satisfy both parents and kids . 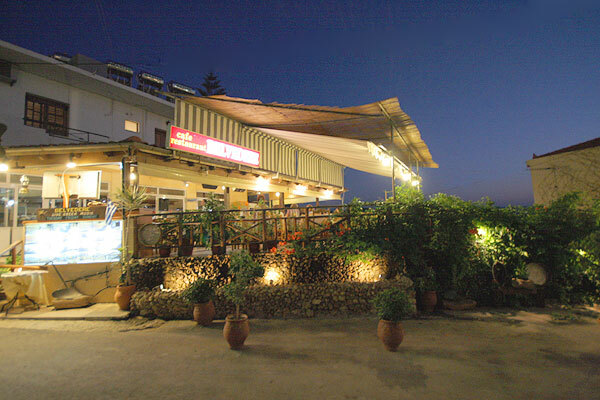 The Restaurant Speciality is called Stifado, a dish cooked in a variety of ways. 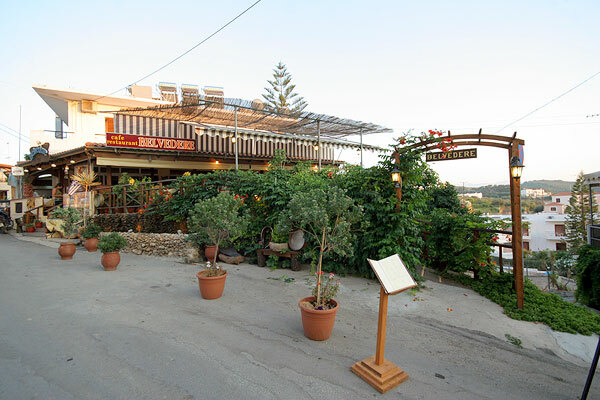 The cellar of the restaurant offers its customers one of the finest and brilliant wine selection, consisted of distilled and domestic white and red wine , that will accompany your voyage through the world of taste and experience! 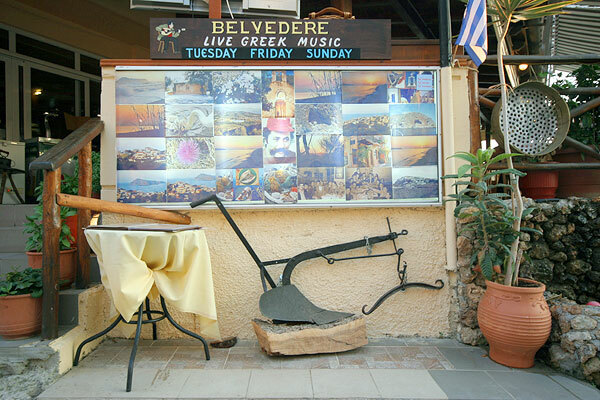 Meanwhile, a traditional music group is ready to give you joy with Greek local music and original type of dancing, all night long!! 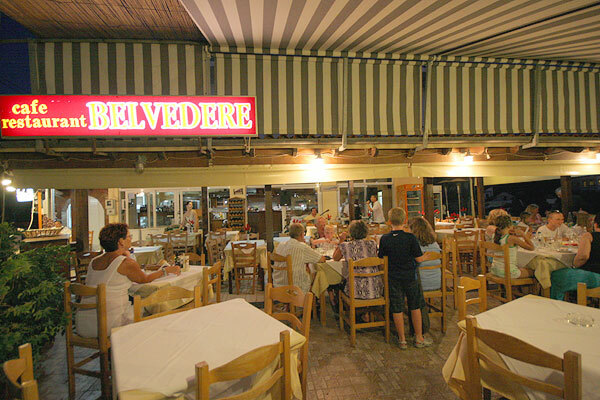 The best quality , the friendly and warm environment, the quick service provided by the restaurant staff and the fantastic music that is played, fulfils the most demanding needs of every customer.